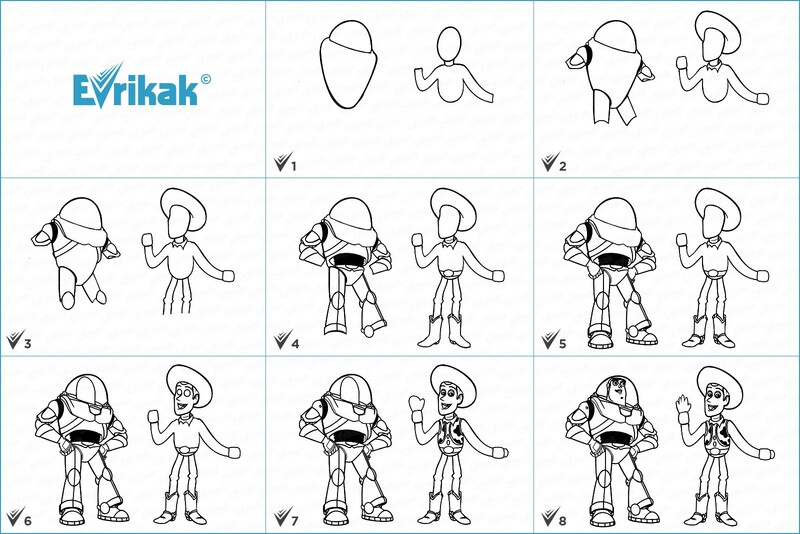 How to draw the main characters from the cartoon "Toy Story"
The main characters of the cartoon “Toy Story” are real toys who live with a boy Andy Davis. Every year Andy gets new toys for his birthday. For old toys this day is a nightmare. They are waiting for being sold or even ,much worse, to be in a landfill. 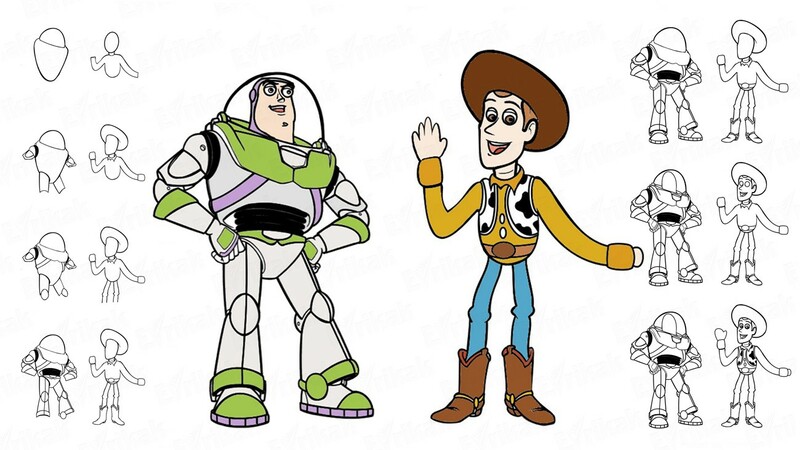 Since childhood, the boy’s favorite toy was a cowboy Woody – a “leader” of the toy society. He is convinced that the toy’s meaning of life is when it’s being played with. A terrible moment for Woody was another Andy’s birthday. He’s got a new super-toy Buzz Lightyear, multifunctional Astro-Ranger. Woody loses not only his master’s credibility but also other toys’ credibility. 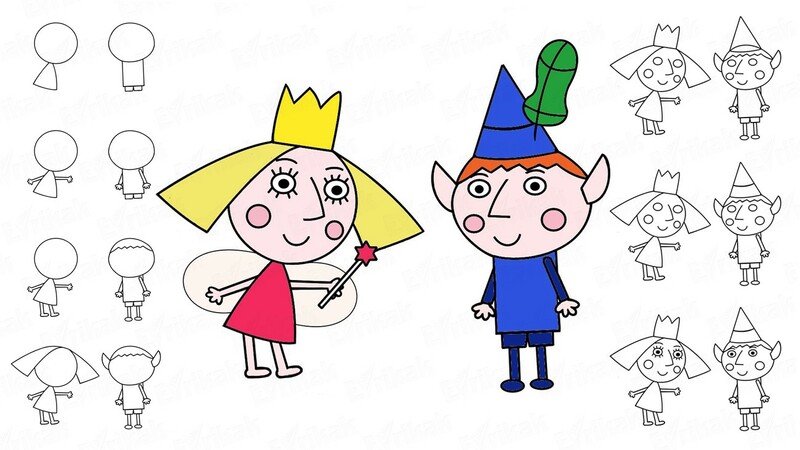 Do you want to draw these two characters? 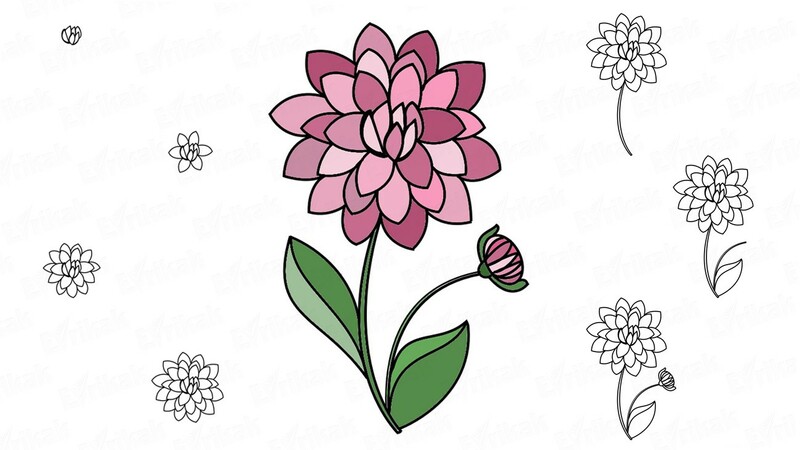 With our step by step instruction it’s easy and interesting to do. 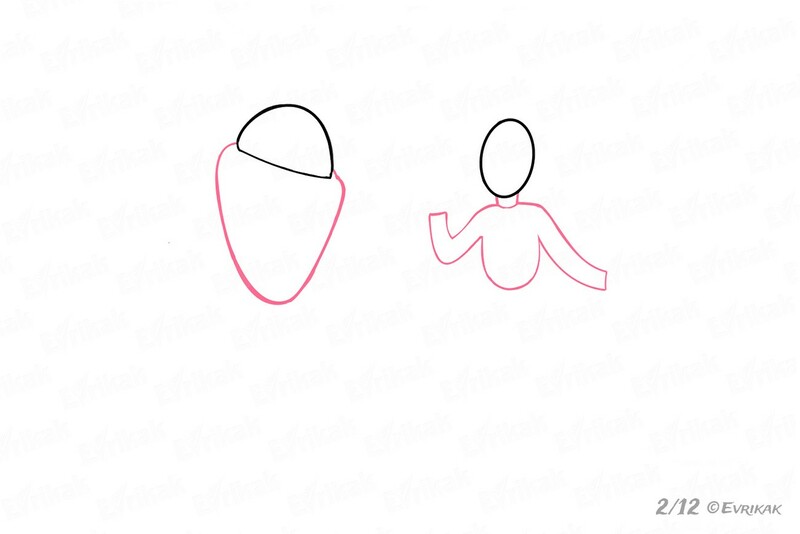 Draw a half circle on the right side, it’s a helmet of astroranger Buzz. 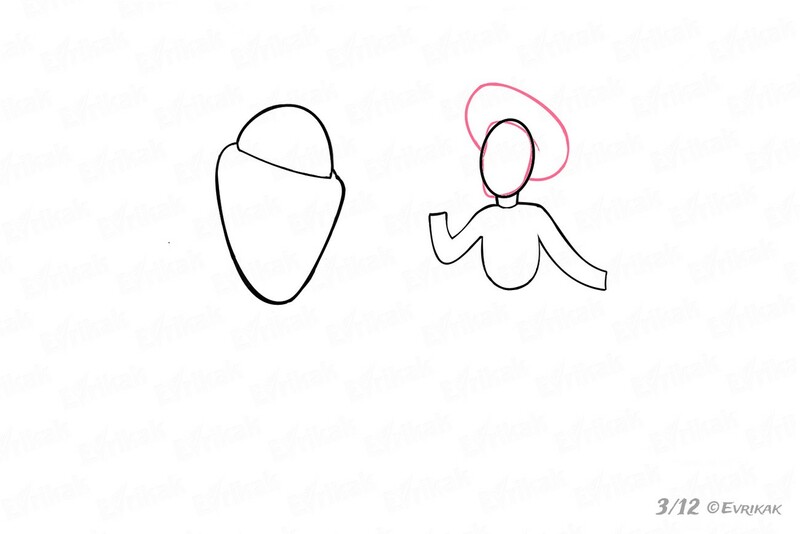 Draw the oval head of the cowboy Woody on the left side. 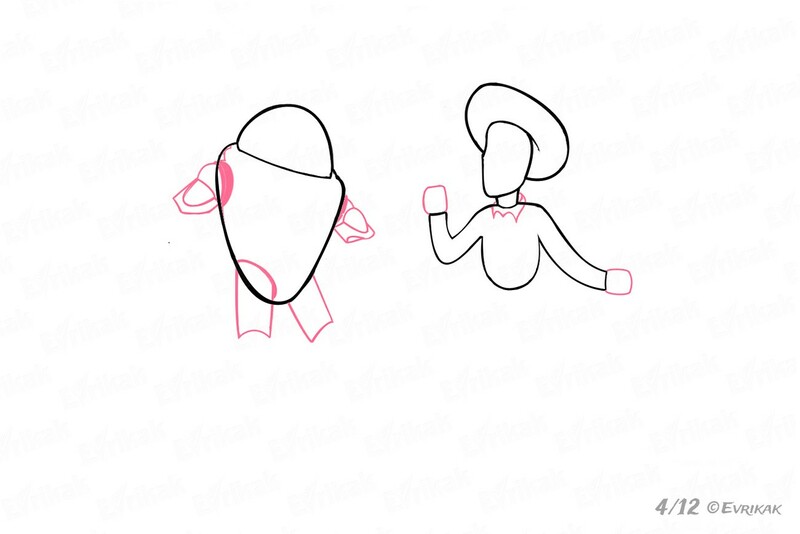 Draw a part of the spacesuit for Buzz. It narrows a little bit at the bottom. 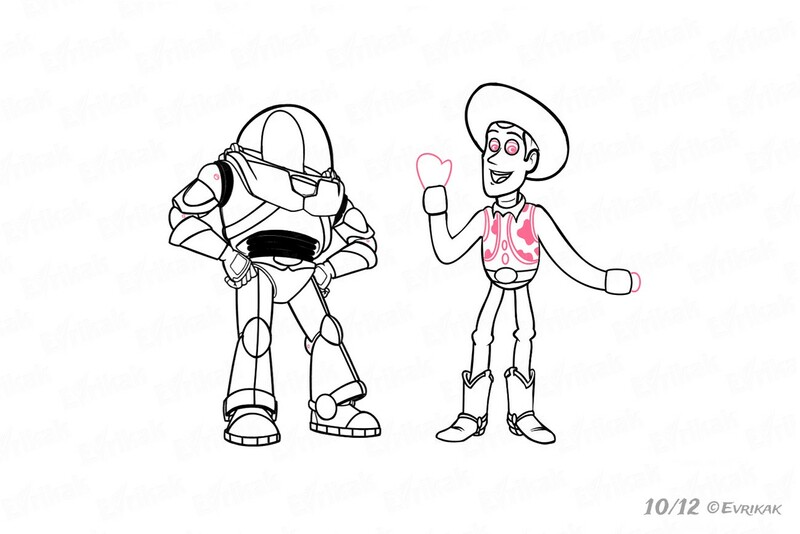 Draw Woody’s body and arms. The cowboy hat has wide edges. 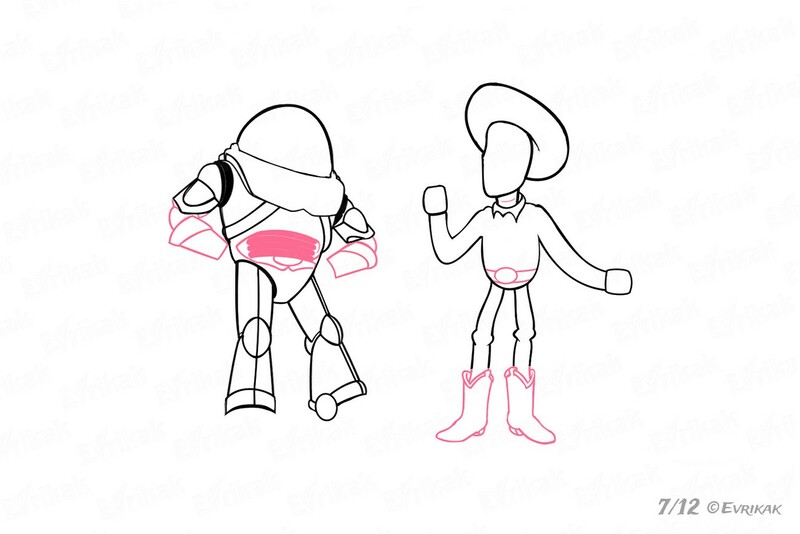 Give the right shape to the cowboy’s face. Draw a part of the spacesuit to Buzz and draw Woody’s sleeves and collar. Draw a part of the spacesuit with fastening on the sides on the chest and knee pads. 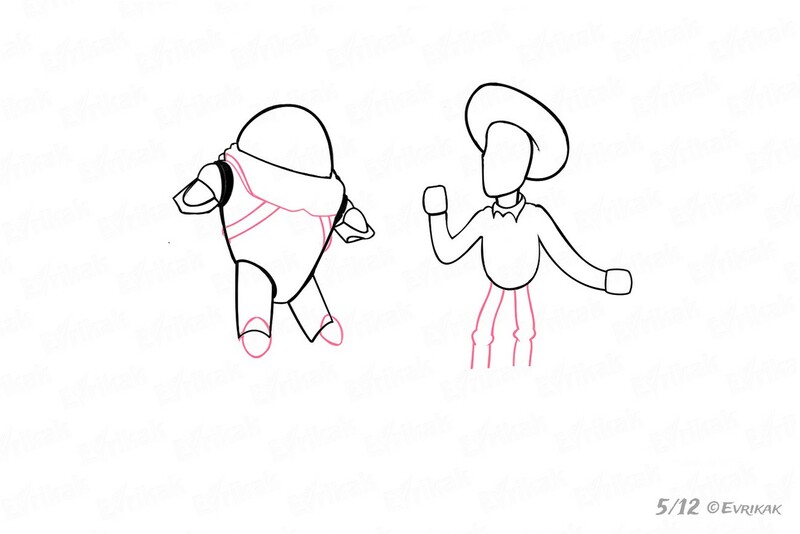 We continue drawing a spacesuit as it’s shown in the picture. 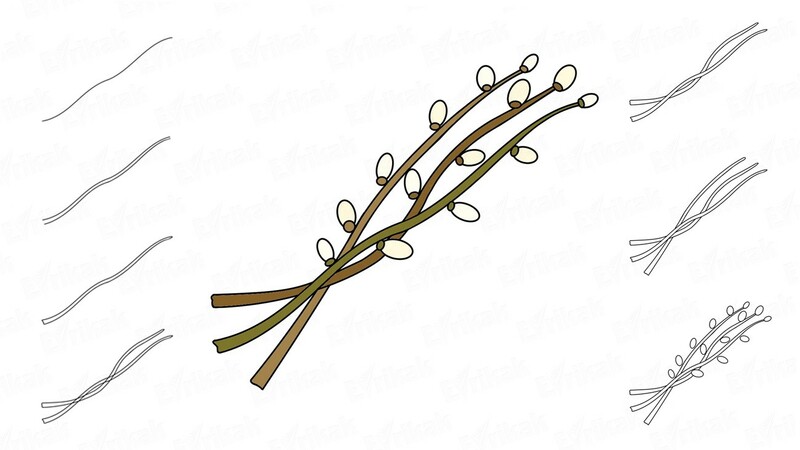 Draw the springs on the body. Draw Woody’s belt with oval buckle and boots. 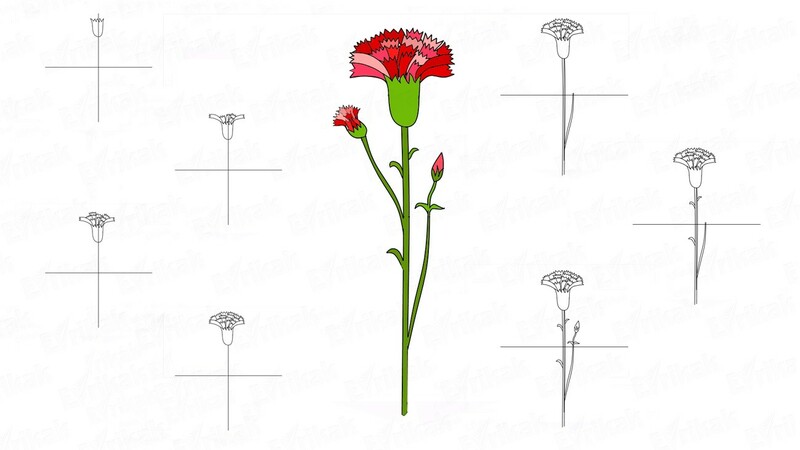 It also consists of small details. 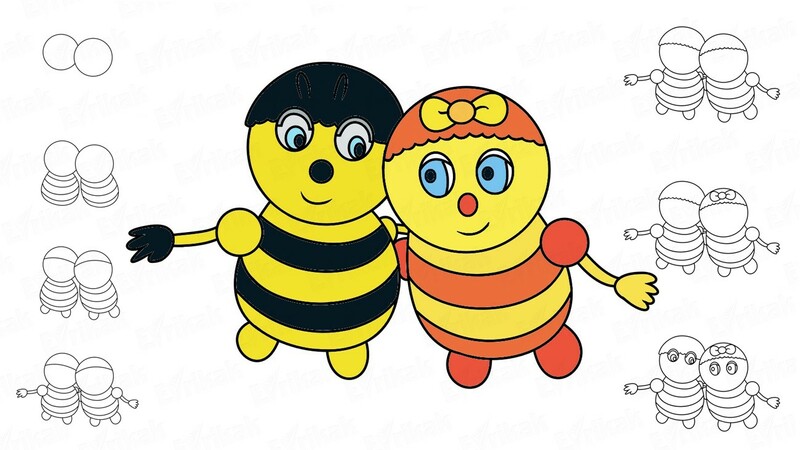 Buzz’s head is hidden in the helmet. 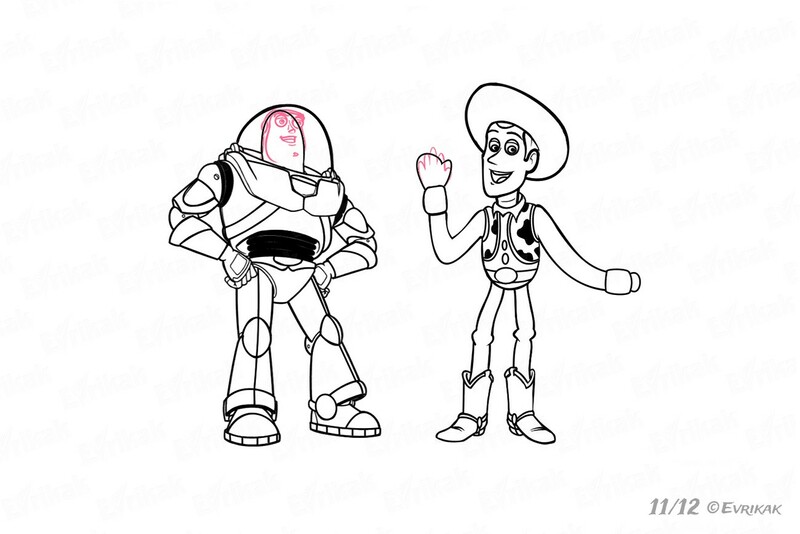 Draw Woody’s details of the face: eyebrows, eyes, nose, mouth, ears. A couple of touches and the drawing is ready. 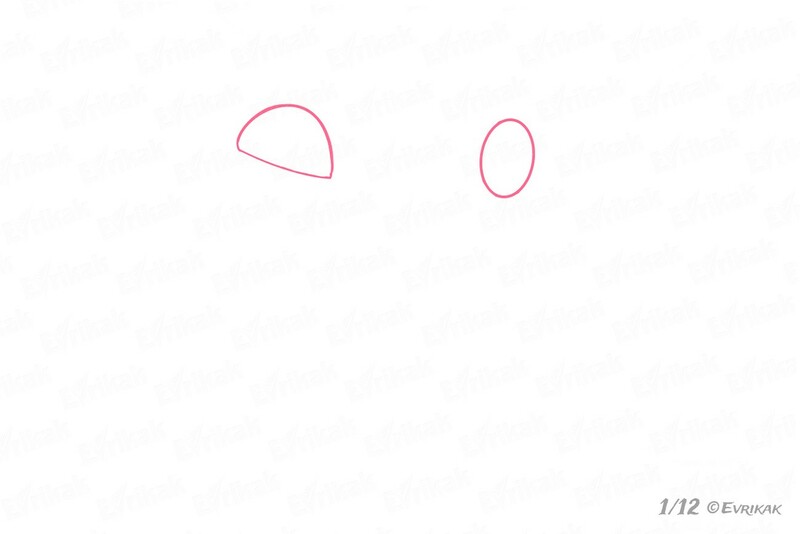 Drawing Buzz’s face, you need to be very careful because this stage is the most difficult. Don’t forget anything. 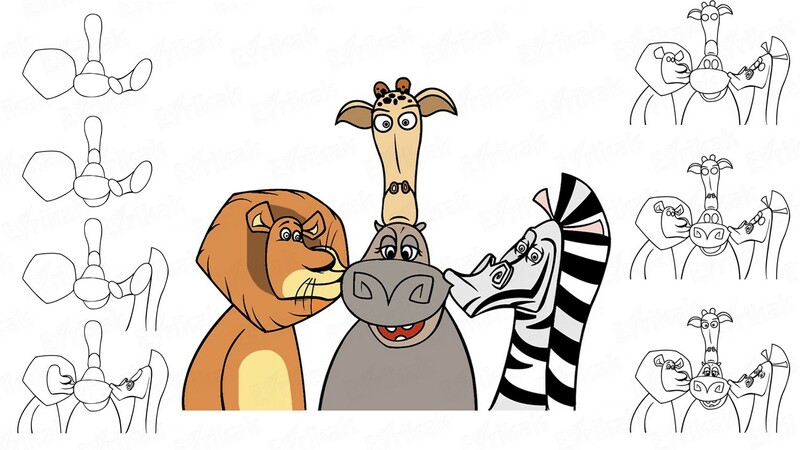 You can color the cartoon characters as we’ve offered to you or get creative and color them as you want. 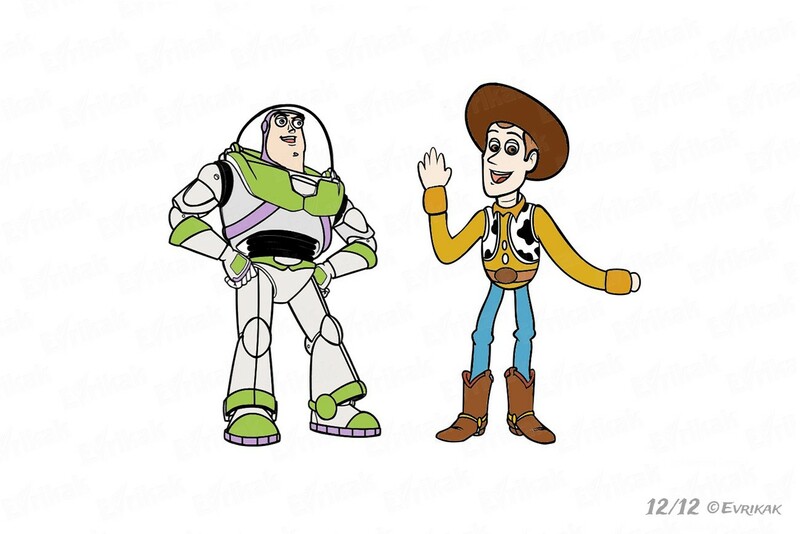 You can color Buzz Lightyear and Woody directly on our website. 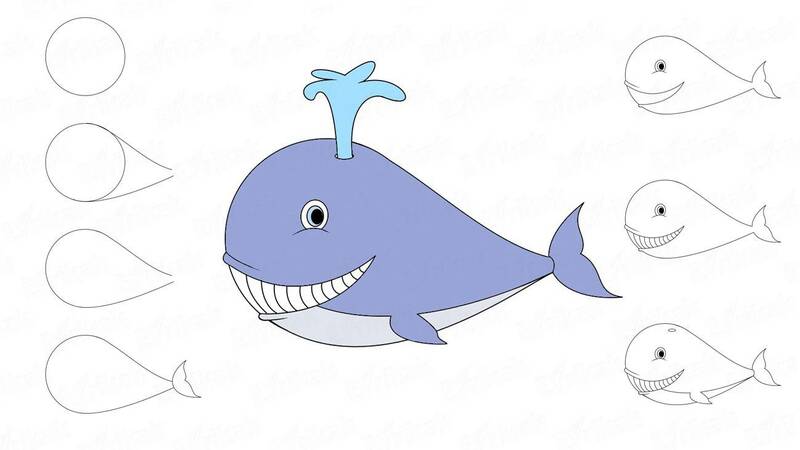 Try it, we think you will succeed!